The long-hidden issue of the indefinite detention of refugees with adverse ASIO security assessments is finally getting some attention. The sudden detention of Tamil refugee Ranjini and her two sons who had been living in community detention has prompted GetUp! to begin a petition campaign for 50,000 signatures. 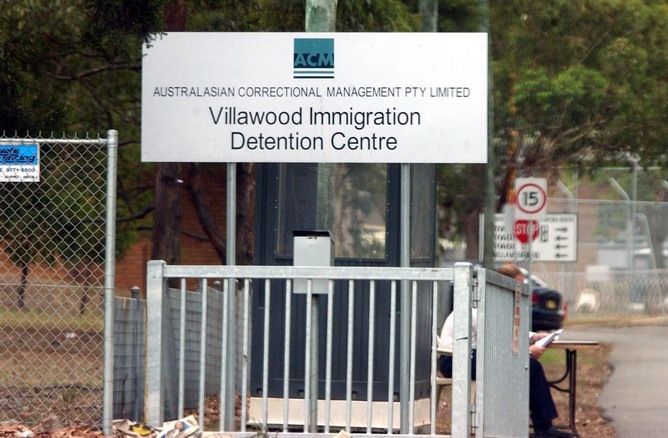 There are now four Tamil families affected by adverse security assessments in Villawood detention centre, with some or all of the family now locked up indefinitely. The attempted suicides of three ASIO negative Tamil refugees at the Melbourne Interim Transit Accommodation have also highlighted what the ASIO assessments mean. All three have been in detention for almost three years, despairing that there will ever be answers for them or their families. The Tamils are part of a group of almost 60 people held in detention on security grounds. The list also includes Rohingyas (a persecuted ethnic minority from Burma and Bangladesh) as well as an Iranian and an Afghan refugee. As the last issue of Solidarity explained, ASIO does not give refugees reasons for the negative assessments and the courts cannot make them give reasons. Nor do they have any idea what evidence ASIO has against them. The Immigration Department is given the reasons—but they will not release that information. Even the head of the Human Rights Commission, Catherine Branson, who is expected to deal with complaints from the refugees, is not able to see ASIO’s reasons for a negative assessment because she does not have a security clearance. There are serious reasons to doubt ASIO’s assessments. It is not known where ASIO sources its information or on what basis it decides whether or not someone is a risk. Does the Sri Lankan government provide any information to ASIO about Tamil refugees? How reliable is information from alleged war criminals likely to be? Why would someone who fought for the Tamil Tigers be considered a security risk in Australia? It is also possible for someone to be deemed a security risk simply because a relative was involved in people smuggling, even in another country. Muhammed Faisal was one of two Iraqis kept in detention on Nauru for five years because of an adverse ASIO assessment. But after suffering severe depression and requiring attention in a private clinic for months in Brisbane, ASIO made another assessment and mysteriously declared that he was no risk. And remember Scott Parkin—the American peace activist whose visa was cancelled in 2005 because of an adverse ASIO assessment while he was touring Australia to talk about Halliburton’s role in the Iraq war? In any case, the Immigration Minister Chris Bowen has the power to issue visas regardless of any ASIO assessment. But he would rather sacrifice the ASIO negative refugees in his sinister game on refugee policy with the Coalition.